I have been struggling a wee bit with my weight and general health for the last few months. I put this down to not enough exercise and poor nutrition. So over the last few months I have been looking at way to hack my health. I discovered the Ketogenic Diet and veraciously started reading everything I could about it. Sites like the DietDoctor Sites like this and the likes of youtube were great resources for me. On Sunday the 28th May 2017 I decided to go for it. So far, I don’t feel great yet, as there is a period of body adjustment until your body gets into a state of ketosis. However I feel more mentally alert and I have lost 9 Ibs in 11 days. So for me I have lost that little pot belly I was developing. I have yet to get over the ‘Keto Flu’ symptoms, but they’re getting much better. So here is some great info on the Ketogenic diet. Although there has been a lot of buzz about the Ketogenic diet in recent years, which you’ll probably have seen as #LCHF and a LOT of pictures on Instagram of food swimming in cream, it has been around for a long time. Dr Russell Wilder at the Mayo Clinic designed the diet in 1924 to help in the treatment of epilepsy. The diet is very high in fat, contains adequate amounts of protein and is low in carbohydrates. Roughly the amounts are about three to four grams of fat to every gram of carbohydrate and protein, or about 60 percent fat, 35 percent protein and 5 percent carbs, but different promoters of the diet suggest slight-differing amounts with some experts recommending up to 80 percent fat. There are variations of the Ketogenic diet, such as the first phase of the Atkins diet, which focuses on a very low carbohydrate count (20g), and other popular eating regimes such as the South Beach Diet and even Paleo bear some similarities. Other approaches include a cyclical plan, where you eat a Ketogenic diet for a period of time, such as five days, and then spend two or three days eating more carbs, or a targeted Ketogenic diet, where you eat carbs to help you through exercise. Strictly following a Ketogenic diet will put a person into ketosis. Because of its high fat nature, the combination of food changes the way energy is used in the body. The liver converts fat into fatty acids and ketone bodies, which then results in an elevated level of ketone bodies in the blood. This is ketosis ““ the body’s natural state when it’s completely fuelled by fat. It occurs when there isn’t enough glucose in the body to supply energy. 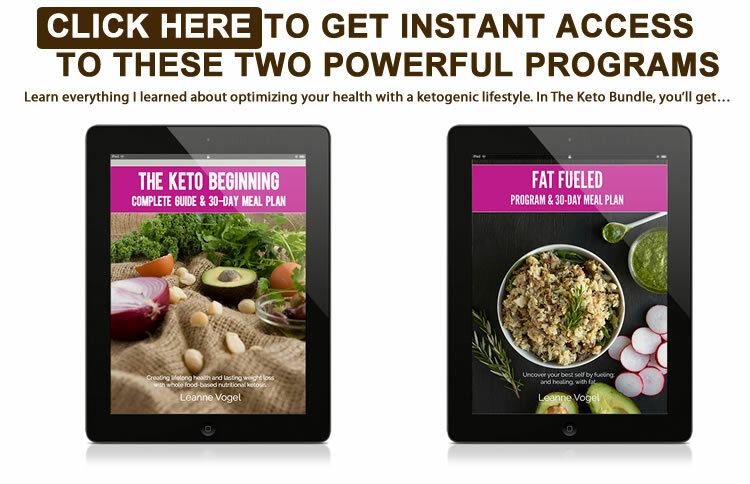 You can test for ketosis in three ways ““ either through using Ketone sticks that are often supplied to people with diabetes. The strips analyse your urine for ketones, and the darker the pinky-purple colour, the higher your level of ketones. The second way is to test your blood with a ketone meter and strips. This is the more accurate way to test, according to the American Diabetes Association. There are also breath analysers which can be reused. The observant among you will have noticed we have referenced diabetes a couple of times. People with type 1 diabetes need to test for ketones because the presence of ketones AND high blood sugar levels are dangerous. Ketosis is a natural state, and it can be caused by a period of low-carbohydrate eating or fasting for some time. Ketoacidosis, on the other hand, is a serious condition and malfunction of the body. It can happen in type 1 diabetics who have not taken their insulin. Their bodies become flooded with excessive ketones, which leads to nausea, vomiting and stomach pain. It can result in that person falling into a coma, and it needs urgent medical treatment as it can prove fatal. If you don’t have type 1 diabetes, you are unlikely to suffer ketoacidosis. Levels of ketones in the blood are much lower in ketosis than ketoacidosis. Who should NOT follow the Ketogenic diet? Type 1 diabetics or those who take insulin might struggle with the Ketogenic diet because it’s so low in carbohydrates. Certainly, anyone attempting it would need help from an expert to manage their insulin levels. A sudden transition from a high-carb diet to a Ketogenic diet will, in all likelihood, cause hypoglycaemia (low blood sugar levels). Type 1 diabetics are advised to keep their carb count higher than the 20-30g limit recommended for non-diabetics. Other people for whom the Ketogenic diet isn’t a good idea include those with any stage of kidney disease, or pre-existing liver, pancreatic or kidney issues or conditions. If you have an eating disorder, the Ketogenic diet isn’t for you either. The first step to curing an eating disorder is never, ever a diet or restrictive way of eating. What do you eat on the Ketogenic diet? You will be using liberal amounts of egg yolks, butter, cream, coconut oil, cheese, lard and more. While Atkins and the Dukan diet put more of a focus on proteins, the Ketogenic diet recommends fatty cuts of meat and oily fish rather than chicken breasts and white fish. What might a day’s eating look like? You could start the day with eggs scrambled in butter. Lunch might consist of chorizo sausage, salad leaves dressed with olive oil and chopped avocado, while dinner might be something like a ribeye steak served with a mayonnaise-based salad and black olives. Snacks, if you need them, could include cheese, low-carb nuts such as Brazil or Macadamia nuts, and olives. There are some variations of the Ketogenic diet that are dairy free, using more generous quantities of coconut oil, olive oil and animal fats to up the calories in the diet. So, the meals suggested above would still be okay except that you might use lard and not butter for the scrambled eggs, and you wouldn’t have cheese as a snack. You can’t drink milk with teas and coffees, as milk has carbohydrates in it from the lactose content, but you could either have them black, or you can put double cream or coconut oil or butter in your coffee. The latter, as you might expect, is an acquired taste. If you are hungry, the experts recommend you up the diet’s fat content. You will probably need to use a food tracker or journal, initially at least. This will help you ensure you don’t exceed your carb limit. You can use trackers such as myfitnesspal, as this has an extensive database of foods on it, and you can also use it to calculate the nutritional content of your home-made Ketogenic meals. What might your first few weeks be like? Be prepared, as some people find the adaptation phase rough. Common side effects at the beginning of the Ketogenic diet include headaches, leg cramps, bad breath, tiredness and”¦er, constipation. One of the ways to counter most of those problems is to drink plenty of water. What’s plenty? There’s no simple recommendation for that, as it depends on many factors, but aim for two litres if you’re a woman and three if you’re a bloke. Another idea is to add half a teaspoon of salt to a large glass of water and drink this to help with headaches and cramping. You can make this more palatable by drinking bouillon, which you can buy in supermarkets and health food stores, or make yourself by boiling up a chicken carcase for several hours, straining the liquid and adding seasoning. Add salt to your meals, too. Your bowel movements will probably slow down in the first few weeks of Ketosis because your diet will not have as much fibre in it. However, this should settle down after some time. You can help yourself by taking magnesium or psyllium husks and eating plenty of non-starchy vegetables such as cabbage and spinach. Bad breath is the result of ketone activity. Acetone is a ketone body, and it makes your breath smell like nail varnish remover. This can be temporary. Again, drink lots of water and do everyone around you a huge favour by brushing your teeth regularly, flossing and using mouthwash. If you are used to a low-fat diet, you might find the volume of a Ketogenic diet challenging, as there won’t be as much food on your plate. Thirty grams or so of carbohydrates stacks up quickly, even when it’s just made up of non-starch vegetables. People on a low-carbohydrate diet might find their tolerance to alcohol is reduced. Alcohol lowers blood sugars in the short-term. When your blood sugar is already reduced because you’re shunning bread, potatoes, rice and pasta, the effect is compounded. But large amounts of alcohol have no place in any healthy diet. Reduced tolerance is a good thing, right? One of the biggest benefits people report about the Ketogenic diet is a decrease in hunger levels. A 2008 study in the American Journal for Clinical Nutrition compared ketogenic diets to high-protein, medium carbohydrate plans in obese men feeding ad libitum for four weeks. The energy intakes of the men on the Ketogenic diet were lower than those on the non-Keto diet, hunger was significantly lower and weight loss significantly higher. The authors of the report concluded that in the short term a Ketogenic diet reduced appetite and lowered food intake more significantly than a high-protein, medium carbohydrate diet. A 2007 report on PubMed (the researchers include Dr Atkins, Dr Westman and Jackie Eberstein, all proponents of low-carbohydrate diets) investigated the effects of weight loss diets on adverse effects, such as mood and hunger. They reported that the group on the low-carbohydrate Ketogenic diet reported less negative consequences and hunger, compared to those on a low-fat diet. Ketones seem to work with a higher protein intake to suppress the appetite. Another reason for why you might not feel so hungry is that you will not be getting the same insulin response to food. Your diet will be very low in carbohydrates ““ sub 50g, compared to the recommended “˜norm’ of 225 to 325g as recommended dietary guidelines for Americans. When you eat carbs, your body releases the hormone insulin to break them down into energy for your cells, but too much insulin release will send blood glucose levels plunging, and make you ravenous. A high-fat, low-carb intake will decrease insulin secretion. Reduces lipogenesis (the storage of energy into fats) and increases lipolysis ““ the breakdown of lipids and the hydrolysis of triglycerides into free fatty acids and glycerol. Gives greater metabolic efficiency in consuming fats shown by the reduction in the resting respiratory quotient. Molecules that are more oxidised, such as glucose, don’t need as much oxygen to be fully mobilised, while fatty acids need less oxygen and therefore have a lower respiratory quotient. The metabolic costs of eating such a diet is higher because of gluconeogenesis (the conversion of proteins into sugar) and the thermic effects of proteins. Dieters might argue ““ who cares how it works? If I’m not going to be as hungry, and therefore I’ll end up eating less anyway, AND that makes me lose weight, that’s the result I want. What have the studies shown? Antonio Paoli’s report, Ketogenic Diet for Obesity: Friend or Foe?, on PubMed, examines what the low-carb, high-fat plan does in the treatment of obesity. He reports that the most commonly accepted diet is based on relatively high carb content and low fat. But adherence is often a problem among obese individuals because they prefer foods with a rich fat content. The author concludes that consuming a Ketogenic diet for some time might help to control hunger and could improve fat oxidative metabolism, which will reduce body weight. Triglycerides are fat molecules in the blood. If you have high levels of fasting triglycerides, this is a strong risk factor for heart disease. One of the primary drivers of raised triglycerides is carbohydrate consumption ““ thus, a low-carbohydrate diet such as the Ketogenic one will often dramatically reduce blood triglyceride levels. If you have metabolic syndrome (the name for a group of risk factors which raise your chances of contracting heart disease and other health problems, such as strokes and diabetes), or type 2 diabetes, a Ketogenic diet can help. A Ketogenic diet will lower blood sugar levels. If you have metabolic syndrome or type 2 diabetes, you might have been told to reduce your overall carbohydrate intake. This is because carbohydrates turn into sugars and can cause massive spikes in a person’s blood sugar levels. Untreated high sugar concentrations in the blood (hyperglycaemia) can lead to all kinds of problems, such as nerve damage, kidney damage, vision problems, heart disease and erectile dysfunction. With the above two conditions, your body’s ability to deal with high blood sugars is impaired. A meal of fish and chips, for example, will cause a rapid rise in blood sugars as it could contain upwards of 150g carbs per serving, whereas a steak with blue cheese sauce and salad leaves contains about 5g of carbs. Dr Peter Attia, a Stanford-trained physician, followed a Ketogenic diet for ten years to test out its metabolic effects. For a decade, he monitored markers that included blood sugar levels and percentage body fat. His fasting blood sugar went from 100mmol to 75-95mg/dl, and 25 percent body fat to 10 percent. Let’s not forget that the Ketogenic diet has its origins in the treatment of epilepsy. The diet was created to stop seizures, and it fell out of favour when anti-seizure medication was invented. There are many people, however, who either don’t want to use drugs or to have their children use them, as they worry about the side effects. According to the Charlie Foundation, which was set up by Charlie Abraham’s family in the 1990s, Charlie started the diet as a toddler and recovered completely from daily seizures that all the available anti-seizure medication hadn’t been able to treat. For those patients who don’t respond, the Foundation claims that 10 to 25 percent of them will respond to the Ketogenic diet, thanks to the elevated levels of ketones in the blood. The Paediatric Epilepsy team at the John Hopkins University in the US is one of the major centres for clinical and research expertise on the Ketogenic diet. The team has enrolled hundreds of children on this, and a modified Atkins diet. Patients are placed on a carefully monitored diet. If you follow a low-carbohydrate diet for some time, proponents claim you can get rid of sugar cravings. People who eat a high-carb diet can end up craving sugar all the time because of the action their bodies take to deal with their sugar intake. A diet high in sugar, and/or carbohydrates (all carbohydrates are converted into sugar) will cause the body to secrete insulin to deal with the carbs. The blood sugar rises after the meal, or sugary snack, and then dips later when the insulin kicks in. This often results in hunger, that promotes sugar cravings. Without the exaggerated insulin response to meals, because they are so low in carbohydrates, many people will find their need for sugary snacks and foods disappears of its own accord, without the need for willpower. Once you’ve got that constipation sorted out (! ), you might find that a Ketogenic diet is great for your stomach if you usually suffer from irritable bowel syndrome (IBS). A Ketogenic diet is lower in fibre than an average diet, and fibrous foods can irritate people who have IBS. In one very small study of a very low carbohydrate diet with patients who had diarrhoea-predominant IBS, all participants reported adequate relief of IBS symptoms. This diet wasn’t as high in fat as the standard ketogenic diet, with the gap in calories being made up by increased levels of protein (up to the 45 percent of the diet). 8. It can help with Polycystic Ovarian Syndrome (PCOS). PCOS can cause weight gain and difficulties in getting pregnant because of irregular ovulation. Its exact causes are unknown, but it is related to high levels of insulin in the body. Many women with PCOS are resistant to insulin, and their body conversely produces elevated levels of insulin to counter this. One 2005 small study found that overweight women with PCOS who followed the diet decreased their body weight by 12 percent, lowered the levels of testosterone and fasting insulin rates in their bodies, and two of them became pregnant, despite having suffered infertility problems before the experiment. One exciting area of Ketogenic diet application is cancer and the effects of the diet on its treatment. The basic theory is that cancer cells need glucose to survive, so a diet that significantly restricts carbohydrates, which are converted into glucose, might cause those cells to die off. There are clinical trials taking place in the US into the Ketogenic diet and cancer. A 2014 study concluded that increased glucose uptake caused cancer, while John Hopkins researchers have shown that decreased glucose levels produce positive results when it comes to colorectal cancer. A 2013 study that treated mice that had metastatic cancer with a Ketogenic diet found that it significantly “decreased blood glucose, slowed tumour progression and increased mean survival time by 56.7 percent”. One of the best sources of information for the Ketogenic diet is the DietDoctor website. Here, you will find meal plans, thousands of recipes, videos and articles that explore the benefits of the Ketogenic diet in detail. The site gets regular contributions from some of the well-known figures in the Ketogenic diet community, such as Dr Dominic Agnostino, who has explored its benefits as a treatment for certain cancers, Dr Jason Fung and the Diet Doctor himself, Dr Andreas Eenfeldt MD, who pioneered the movement in Sweden. Maria Emmerich of Mind, Body, Health promotes the Ketogenic diet. Maria has written a number of books on the subjects, including recipe books. Her website also has a useful Ketogenic diet calculator, which will work out the amounts of macronutrients you need for weight maintenance, weight loss and fastest weight loss. Authority Nutrition is a low-carb resource, mainly, but it does include many low-carb recipes and meal plans that would fit with a Ketogenic diet. Founded by Kris Gunnars, the website’s team includes doctors, registered dieticians and qualified nutritionists. Pic 5 ““ Picture by George Hodan on Public Domain Pictures.